Linda Jary's beautiful design for Just Cross Stitch is a perfect addition to any stitcher's summer stitching rotation! 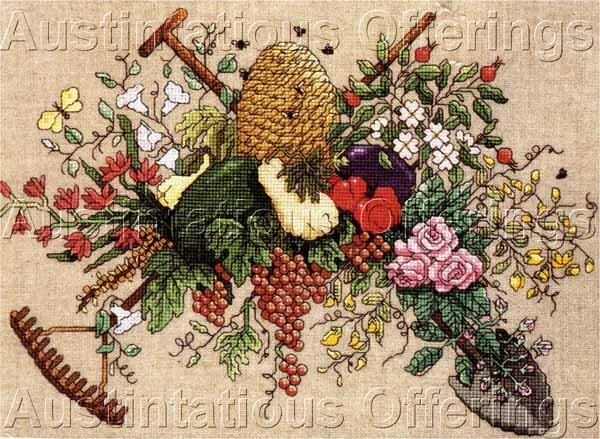 Set on a lovely linen look evenweave fabric, you'll work a variety of abundant fruit, vegetables & florals intertwined with gardening implements and a beautiful beeskep. Hard to find and high on collector's lists, you'll be proud to display this design for the counted cross stitch artist for many years to come.